We specialize in putting Smiles on your face and welcome you to come & experience the best we have to offer. Our friendly, multi-cultural, exuberant and experienced team will look after you and treat all your dental problems, be it Big or Small. We boast the clinical skills to offer the very best matched with our state of the art practice equipped with most of the very latest in materials and digital technology to be on top of our game. It is our practice policy to not offer amalgam restorations. We are not anti- amalgam but we believe that there are many alternatives to amalgam, especially when several patients have their doubts about the material and dislike its aesthetics in an increasingly appearance conscious world. Gold is not needed, but we also use Gold very often. Ultimately we provide you with all your options and allow you to make an informed decision. 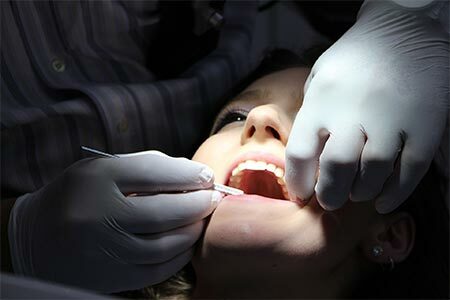 Root canal treatment is almost always the result of a deferred filling or a neglected cavity. Occasionally, unanticipated cavities can progress very quickly between dental examinations to result in a root canal treatment. It is often the only solution that will work to save a tooth. We use rotary root canal instruments, apex locators, digital radiographs to help us in performing high quality root canal treatment. 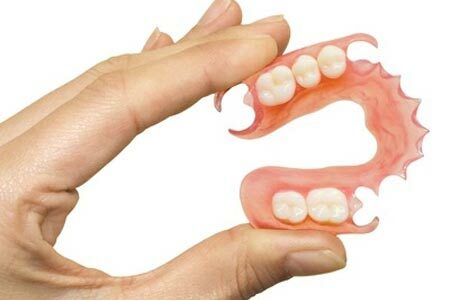 We provide full spectrum denture services including flexible dentures, cast metal dentures, conventional acrylic full dentures and injection moulded BPS dentures. We work with many New Zealand based and trained dental technician who has invested in state of the art denture fabrication technology. 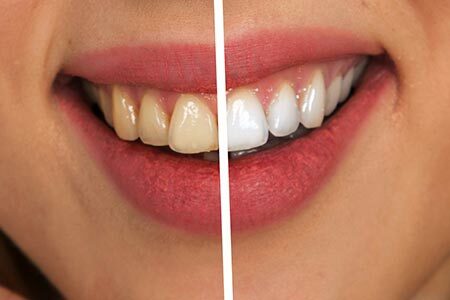 So whether it is some teeth that you are looking to replace or a whole arch of missing teeth or a full mouth with no teeth at all, we have a solution for you. 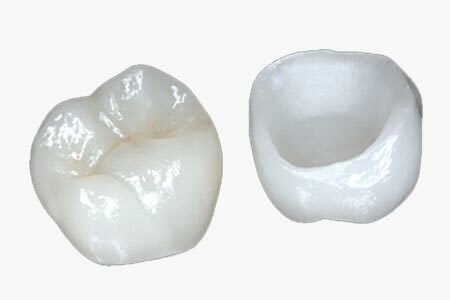 We also provide implant assisted dentures that vastly enhance quality of life. We fabricate crowns to restore badly broken down or worn down teeth OR bridges to replace missing teeth, with a variety of materials. Using Porcelain, Gold, Zirconia or Gold covered with porcelain we create life like restorations with our New Zealand based technician. All materials are sourced only in New Zealand from authorised distributors and our technician certifies materials used. We do not work with any overseas technicians or dental laboratories in order to source reliable high quality results for our patients. Dr Keith Chiang has been providing a referral-based oral surgery services for the dentists in the Canterbury as well as beyond regions since registering as a Dentist since 2006. His vast experience in this field means he can treat a wide range of Oral problems with the most common ones being removal of wisdom teeth or broken roots. 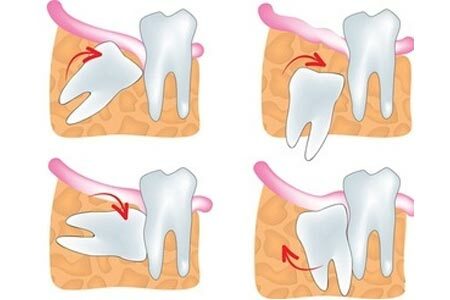 Wisdom teeth impactions are very common and often involve the erupting wisdom tooth getting stuck against the molar in front of it. Abscesses or severe inflammation are frequently observed as well. Dr Keith Chiang is an overseas trained Oral Surgeon with over 22 years in clinical practice and teaching. He is registered in New Zealand as a General Dental practitioner with a prime focus and a very special interest in Oral Surgery and Intravenous sedation. Our surgical services are often offered in conjunction with IV sedation. Our very skilled and experienced Oral Health Therapist/Hygienist is keen to educate you on the best way to keep your mouth, teeth and gums healthy. Our dental hygiene services cover all aspects of dental hygiene that includes use of toothbrushes, dental floss and inter-dental brushes. Further, our hygienist will evaluate your gums to look for any signs of periodontal disease and record any changes in the soft tissues of your mouth. Once this is done, any plaque and tartar will be carefully removed, followed by scaling and polishing your teeth. We recommend that you visit your dental hygienist on a regular basis. She works closely with our dentists to provide you with optimum oral hygiene plans. All hygiene services are pain-free and affordable. If you have any sensitive area in your mouth, do discuss this with our dental hygienist so that you are comfortable throughout your appointment. We can help find early signs of problems with your gums or teeth. Early detection is key for cavities, gum disease, broken fillings when they are easily treatable. Untreated these problems can be very expensive and inconvienient resulting in gum surgery, root canals, and removal of teeth. Medical studies indicate that 85% of people with ongoing bad breath, (halitosis) are caused by dental problems. Having a Good oral hygiene regiment is essential in preventing bad breath. Regular 4-6 Month check ups and dental cleanings are the best way to make sure you are keeping good oral hygiene. During your cleaning your dental hygienist will polish your teeth to a beautiful pearly shine. 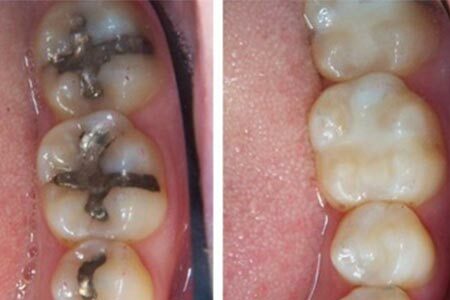 This will help remove most coffee, tobacco and tea stains from your teeth. Enjoy more confidence with a brighter and whiter smile! There are many consequences to a tooth loss, the most obvious are the loss of a confident smile and normal chewing function. Another consequence is that a continued state of bone loss called “Resorption”, which occurs in the jaw bone for the rest of your life. This can lead to difficult problems for denture retention, and bone support when implants are considered at a later date. In addition, the opposing teeth may continue to erupt into the space left by the missing teeth, thereby encroaching into the anatomical space. This is called “Over Eruption” and can be difficult to correct once it has been established. The replacement of the missing tooth can be achieved by economical and removable appliances such as a Removable Partial Denture (Plate) or by Fixed Bridgework supported by the adjacent teeth or with Dental Implants. Many people have chosen to have a plate due to financial restraints and most of them have trouble maintaining the plate. Also to bear in mind that wearing a Removable plate or a denture means that you still won’t be able to bite or chew on hard foods as the denture has a “Give” as it mainly depends upon the gums as support. Fixed Bridge had proven to be an alternative until recent research has shown that the average life span of Bridge work is about 10-12 years and there is usually an unnecessary sacrifice of sound teeth on either side of the “gap”. If there is sufficient bone volume and height remaining to support an artificial tooth, then dental implants are usually the Fixed Permanent choice for good success in the long term. Dental Titanium Implant to replace the missing tooth. The missing tooth can be restored by the use of a Titanium implant and the resultant crowns will appear similar to a natural tooth. This would fulfil the aesthetics and functional requirements to stabilize the situation. 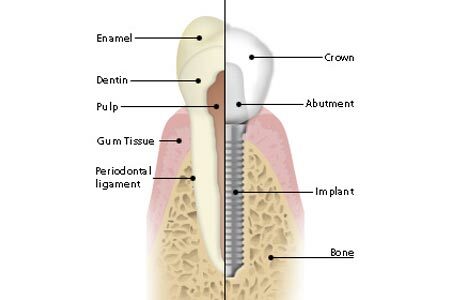 The first stage is the Surgical stage wherein the Implant fixture (Titanium Implants) will be surgically placed by means of a highly detailed surgery and we may choose to leave it buried undisturbed as it will need 2-3 months to Osseo-integrate (Fuse) with your natural bone. 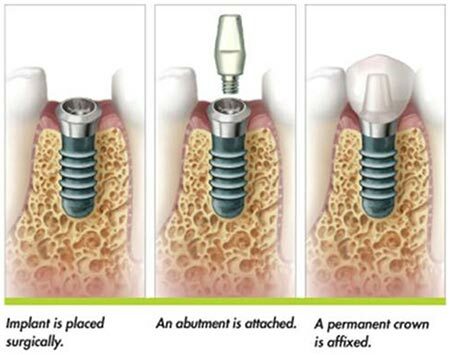 The Second Stage will be done after 2-3 months when the implants will be uncovered and a Healing Cap (Abutment) will be connected. After 2 weeks, the Third stage will be done where Implant Crown measurements (impressions) will be taken for your future implant crown. The final stage will be after 3-5 weeks where the Porcelain Implant Crown will be attached to your implant. The advantages of these options are ease of maintenance and the final outcome is that the patient has a permanent fixed tooth that functions almost as natural teeth to restore confidence as well as a fully functional bite. We pride ourselves by having the latest in diagnostic imaging and digital technology in Christchurch. Digital X-rays and Full Mouth Panoramic radiographs have been a part of our practice since 2012. These deliver low dose radiation and help us interpret and diagnose problems that our naked eyes can’t see.